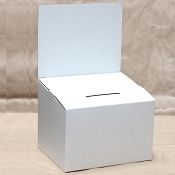 Super Inexpensive White Cardboard Ballot Box -With or Without Business Card Pocket. Removable Header. Very Durable. - Sets up in seconds. 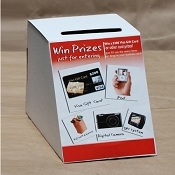 - Suggestion box allows you to place an entry form pad on the top of the box without covering the drop slot. 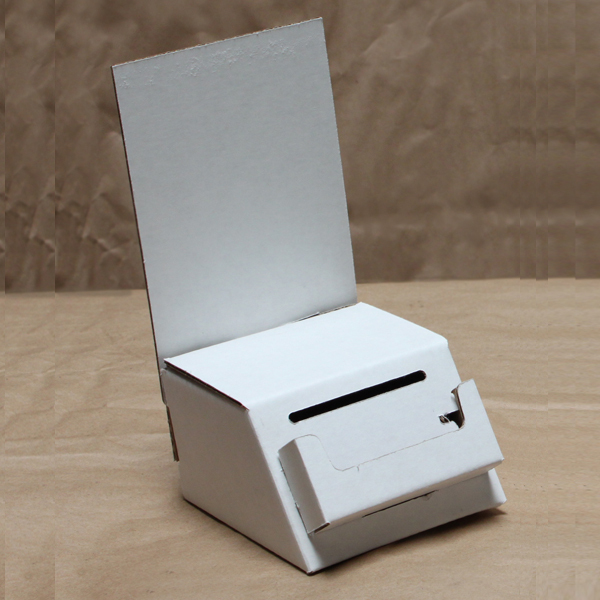 - The header is removable, so if you need a smaller box, this is a great alternative. 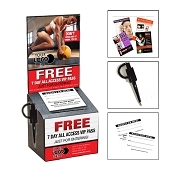 - Business card pocket can be attached to front of box to display your business cards, guest passes etc. 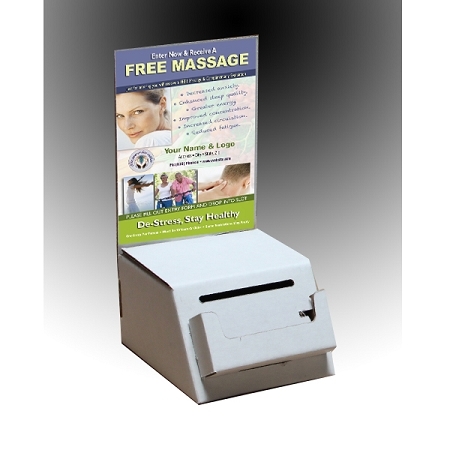 Or you can leave off the pocket holder and place a graphic in this area for more display area. Artwork, entry pad, security pen are sold separately. 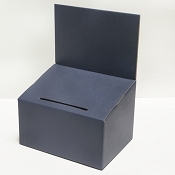 Box Size: 5.25" wide x 6.25" deep x 3" tall. Detachable Header Size: 5.5 wide x 7.5" tall. 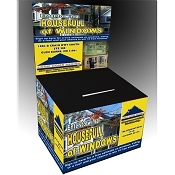 Box Size (FRONT): 5" x 7"
Excellent quality for the price. A little on the small size. Next time I will try a size up. received the boxes and love them. We received the boxes and love them. They were very easy to build with a very steardy structure. Not sure what else to say. Got exactly what I purchased. No complaints!